« Getting back into the swing of things. This was my first attempt at short row heels, and I have to say that I still like heel flap better. It just looks more sock-like that way. 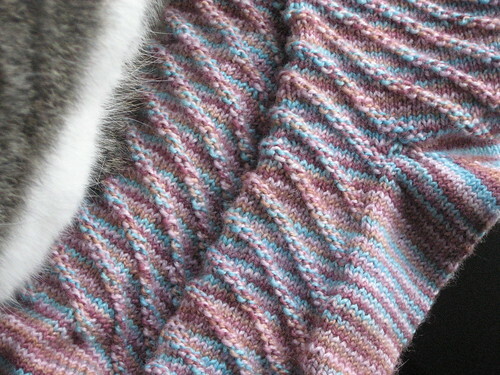 This pattern has basically no stretch, which I discovered when I had completed the first sock. Fortunately, I have fairly small feet, and made the second sock about 4 stitches larger, which was all I needed. They were very quick, despite what the dates say, and look like a million bucks. I wasn’t sure what to do with yarn that was this varigated, but I can see how this pattern works with basically all yarns of that variety. I may try it again with many more stitches.